Indie Electro - Pop artist PIXX is to play The Green Door Store tomorrow. 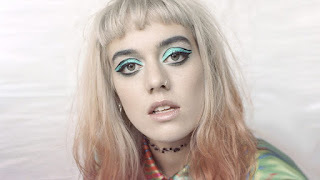 After releasing her debut album 'Age Of Anxiety' earlier this year to critical acclaim, The London based musician is performing her first ever Brighton headline show tomorrow as part of her Headline winter tour. Dubbed by the Guardian as a "Riveting,cliche-free indie pop joy", PIXX's live sets are strong, eccentric and enthralling. Support comes from the North London, grunge four-piece 'Sorry'.